And yes — I advise this, too. It’s vital. But what if all those great screenplays you’re reading, taken at their surface, are leading you astray? Because sometimes the writing in professional screenplays is so good, it’s deceptively simple. By emulating what you see without taking the time to analyze a little more thoroughly, you might pick up some bad writing habits. One of the most insidious? Slacking on character introductions. 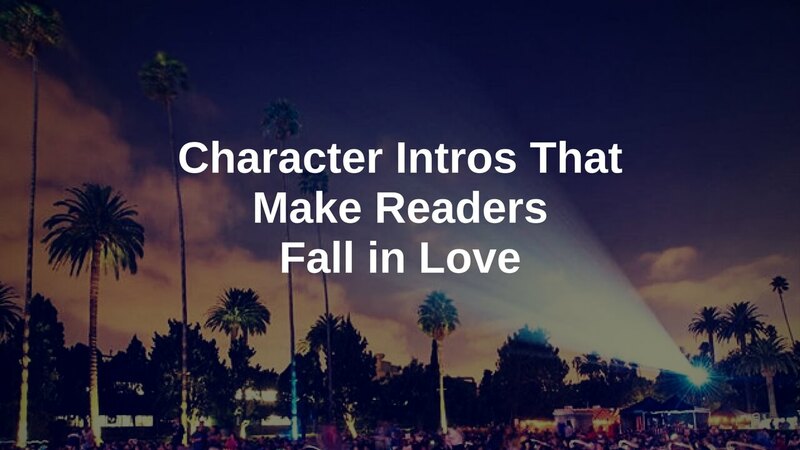 Character intros are a prime opportunity to impress readers and hook them into your story. 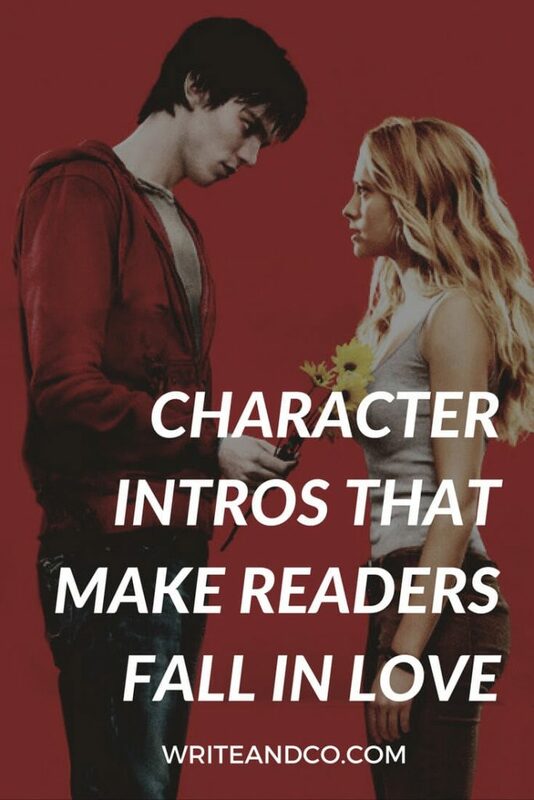 But well-written character introductions, like those in most professional screenplays, have a lot more going on than it appears at first glance. If you read a lot of professional scripts, you might assume that character intros don’t require much thought. You might think any old character introduction will do. You’d really be missing out. And your reader would be sad. So let’s look at how you can take advantage of character introductions. What’s in a character introduction? Character introductions can be thought of in two components: character description and character entrance. KAT STRATFORD, eighteen, pretty — but trying hard not to be — in a baggy granny dress and glasses, balances a cup of coffee and a backpack as she climbs out of her battered, baby blue ’75 Dodge Dart. A YOUNG FEMALE HUNTER hides in the foliage on the side of a pond. She’s small for her age, 19 going on 16, but wears the concentration of an adult. Character entrance is the scene or set of circumstances surrounding the character the first time we meet them in the screenplay. It’s Jack Sparrow sailing into port on a sinking ship in Pirates of the Caribbean: Curse of the Black Pearl. It’s Marge Gunderson being woken in the middle of the night, slipping her winter coat over her very-pregnant belly and leaving her loving husband, to go out and represent the side of good in Fargo. 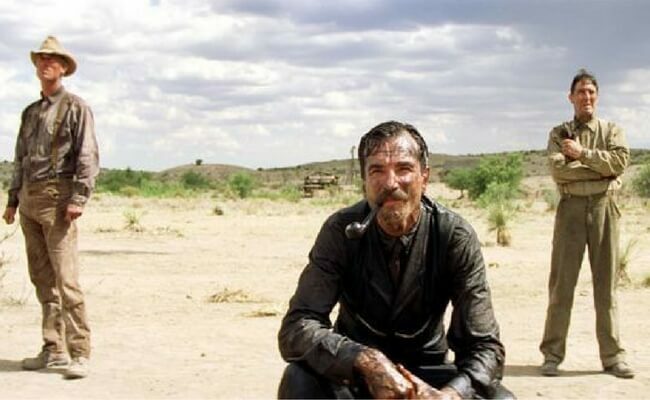 It’s Daniel Plainview, covered in sweat and dirt at the bottom of a mine, driven by an almost psychotic ambition in There Will Be Blood. Character description and character entrance. These are the two parts of a character introduction. Obvious, right? Every beginning screenwriter figures out the need to include these elements, otherwise they wouldn’t have a character in their screenplay. But how much heavy lifting is being done? How well are these elements being utilized? That’s what separates the beginner from the master. Clarity is maybe the most important aspect of screenwriting, and one of the toughest to master. We all have amazing stories in our heads. The challenge is figuring out how to convey all the great stuff in your imagination on the page. So when someone else reads it, what they imagine in their head is something close to what you imagined. Skillfully directing a reader’s attention is a necessary part of creating a clear, intended effect. You’re like the conductor of an orchestra. You don’t just let every instrument play at full volume all the time; the audience would have no idea what to listen to, where to focus their attention. As the conductor, you create a specific effect by controlling how much of each instrument we hear, and when. A good character intro gives weight to characters in appropriate proportion. So major characters are given full introductions. Minor characters are given just enough to help orient us to their place in the story, but their very lack of elaborate introduction tells us not to invest our mental energy unnecessarily. 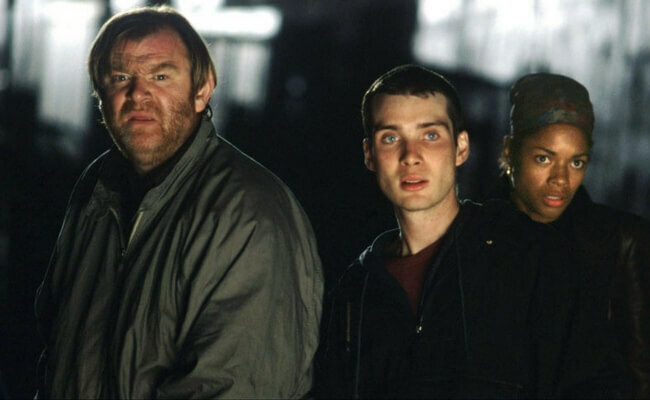 28 Days Later is a good example. In the script, the first five pages act as a teaser. This teaser sets the tone and creates the world, without featuring any of the main characters. The characters in these first five pages are named “Activist”, ”Chief Activist”, “Scientist”, etc. This lets us know that even though this sequence is action-packed and dramatic, we don’t need to invest in any of these characters; that’s not the purpose of the scene. They don’t have names? We don’t need to remember them. It’s screenplay shorthand, the good version of “directing on the page.” It effectively focuses our attention and it’s a sign that we’re in strong, capable storyteller hands. Characters are our way into stories. We’re compelled to watch characters whom we admire, or fear, or fall in love with, or care about, or are intrigued by. A good character intro creates this hook — the admiration or fear or intrigue, enticing the reader to follow this character into the story. A good character intro also provides the yardstick by which we’ll measure that character’s emotional states over the course of the story. It’s their emotional resting heart rate, if you will. That’s not to say we should always meet characters in a state of rest. No, that would be boring. It means that however a character appears to us first is how we’ll assume they are in general. You know when someone sees you doing something and says, “Classic Naomi…” And then you get all embarrassed, because they’re right, you do spill coffee on yourself all the time? That’s the kind of moment you want to showcase your character in for their introduction. Not spilling coffee, of course, but a moment that encapsulates the sort of gestalt of your character, one that defines them. Exhibit A of who they are. Okay, that’s not exactly true. Professional scripts are only bad examples when we don’t take the time to understand what’s really going on under the surface. Character introductions in professional scripts tend not to directly describe the character as much as aspiring screenwriters are instructed to do. The character description component, sometimes, is only a word or two. Often simply because a longer description would interrupt the flow of the scene. And that’s perhaps what gets lost on newer writers: the importance of that first scene, the opportunity it offers. In professional scripts, that’s often where the impact happens. It’s easy to overlook how much more is going on in the character entrance component of professional scripts, at least in part because good writing doesn’t call attention to itself. It just pulls you into the story. 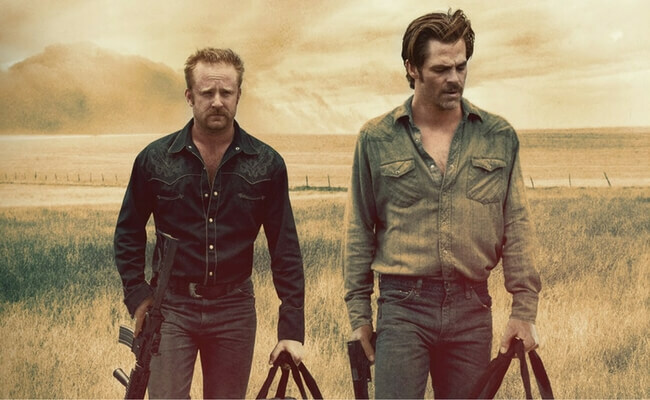 One of my favorite examples are the main character introductions in Hell or High Water. In the Hell or High Water pages, we first see the characters as masked bank robbers. So the real introduction to them comes in the next scene, which takes place in a getaway car. Here, as we’re really meeting these characters, they’re given the spotlight. The scene is designed to showcase and feel representative of the dynamic between the brothers (also what the movie is largely about). We see each of their attitudes more distinctly because it’s contrasted with the other’s. What hooks us into these characters? It’s always subjective, of course. For anyone with a close sibling, you may be drawn to the brothers’ relationship. I’d venture to say we also feel curiosity about how Toby (“not the face of a thief, it is the face of a farmer”) came to be in this situation, and intrigued by Tanner’s wild-card characteristics (“an air of danger that attracts as many women as it repels”). We get the sense that Toby’s is a life of struggle (“a kind face marked by years of sun and disappointment”), and probably honest hard work up to now — invoking even more curiosity about why he’s turned to crime today. Likewise, we get the sense that Tanner is a time bomb with a chip on his shoulder (“I go as easy on them as they go on me”), who likes to push boundaries. This makes us lean in to find out when this bomb is going to explode. How can you make sure your character intros aren’t slacking? If your character description needs to be short enough so as not to disrupt the flow of the scene, then each word needs to be as impactful as possible. Specificity in word choice will do that. It’s a challenge, packing a succinct line or two with description that comes alive in a reader’s mind – but it can be done. “The most common weakness of character descriptions I read or hear is that they generalize. The details are broad, vague or not visual at all. They neither create a specific image, nor do they reveal anything important or emotionally involving about the character.Sometimes storytellers provide visible descriptions that create an image, but the details are unimportant to the story and reveal nothing of what’s inside the character. I’ve read countless screenplays which introduce characters in this way: “JOHN, 29, tall and thin,” or “MARY (mid 40’s) an attractive brunette.” As you read those two descriptions, did you get any kind of clear image of John or Mary? Neither will your reader or your audience. A common note I see given by readers is, “Only write what you can see and hear on screen.” In the case of character introductions, I disagree. Most readers – whether execs, producers, whomever — love a little authorial intrusion. Assuming it’s done well and done sparingly, those two caveats being key. “Most good screenwriters cheat a little, particularly when introducing a character. Keep in mind that an audience watching the movie has the benefit of seeing the actor playing the role, and all the specifics that come with a flesh-and-blood person. Since the screenwriter has mere words, it’s generally okay to throw an unfilmable sentence or two at a particularly important moment. And there’s no more important moment in the script than the introduction of a key character.The best character introductions tend to include both a sense of what you see (the character’s physical appearance) and an intriguing tidbit about their personality and/or situation. What they’re doing, how they’re reacting and interacting, what choices they make in the scene – these are all ways to show us who the character is, and to set up how we can expect them to behave in the story. Giving us this starting point, this yardstick to measure them by, means that we can anticipate how they’ll react to future story events. And when they change their behavior we’ll either understand right away why and how the story has affected them, or our curiosity will be piqued and we’ll lean in to see why they’re reacting the way they are. Setting an expectation is what allows you to subvert an expectation. TOBY HANSON, late 30’s, a kind face marked by years of sun and disappointment, rides shotgun. It’s not the face of a thief, it is the face of a farmer. Behind the wheel is TANNER HANSON, 40, his brother’s opposite in every way: mustache, shaggy hair, an air of danger that attracts as many women as it repels. Succinct and specific with just enough editorializing to convey something vital about how they’ll interact in the world, there’s very much an “iceberg quality” to these descriptions. If you take the scene as a whole, we see a moment that’s iconic of the characters and their relationship with each other. A purposeful character intro can make the reader fall in love with both the character and the writer. We’re eager to follow that character into the story, and just as eager to follow that storyteller wherever they may take us because we’re confident it will be a good ride.